According to a customer service expert, when you cannot outspend your competitors, the solution is to out-support them. This is why many business owners invest heavily in customer service tools that would help them provide outstanding customer support. Although, you need well-trained staff with good communication skills, you also need multipurpose customer support software like Trakdesk to complement their efforts. This quintessential software is capable of delivering everything you would need to provide exceptional customer service. 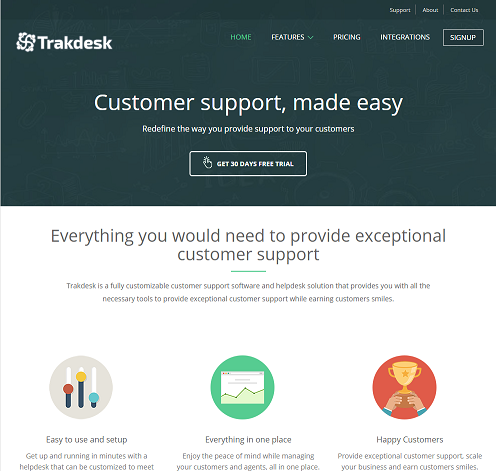 Here are 9 features which Trakdesk customer support software possesses that could help redefine the way you provide support to your customers. The Trakdesk ticketing system allows you to attend to customer issues no matter where you are. You can easily keep track of every task that you need to accomplish by deploying customizable ticket forms, SLA management, time entry management and billing, ticket escalation, agent collision detection, and many more. Some of Trakdesk’s powerful ticket features include; canned responses, bulk actions, merge tickets, link tickets, split ticket, lock ticket, agent collision and macros, all readily available for your agents to use. 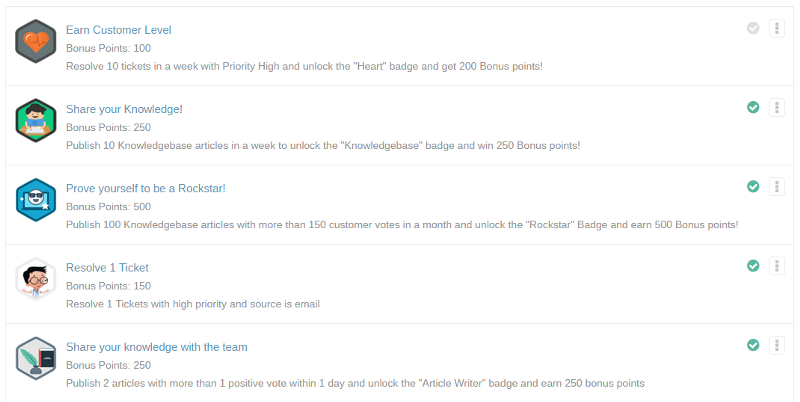 Gamification is the concept of applying game mechanics and game design techniques to engage and motivate support agents to achieve their goals. In customer service parlance, gamification helps to provide visible appraisal of customer service agents based on how fast the can resolve trouble tickets. The gamification feature provided by Trakdesk gives you the ability to create a reward system, configure points threshold and challenge your agents by creating adventurous quests for them to unlock as they complete their daily task. This is an excellent way to motivate agents and keeping them engaged. Today, most customers prefer to use more than one channel to get their problems solved. Therefore, offering multichannel support helps you to provide a more robust support system. With Trakdesk, you can interact with your customer via various channels such as; Email, SMS and Customer support portal. In addition, customers will also be able to interact with your business via social media channelssuch as Facebook and twitter which it also supports. One of the qualities of an effective customer support service is prompt response to queries. And this can be achieved by having an automated help desk. You don’t have to sit behind the desk all day checking for customers’ notifications, sending or replying to emails, assigning tickets for various tasks or keeping track of customer activities. With Trakdesk Helpdesk Automations, you can setup a series of tasks for your helpdesk to perform behind the scenes while you focus on things that matters most, your business! Putting your helpdesk on autopilot saves you a lot of time, money and headaches. It also enables you to serve customers faster, increase productivity and automate repetitive tasks. 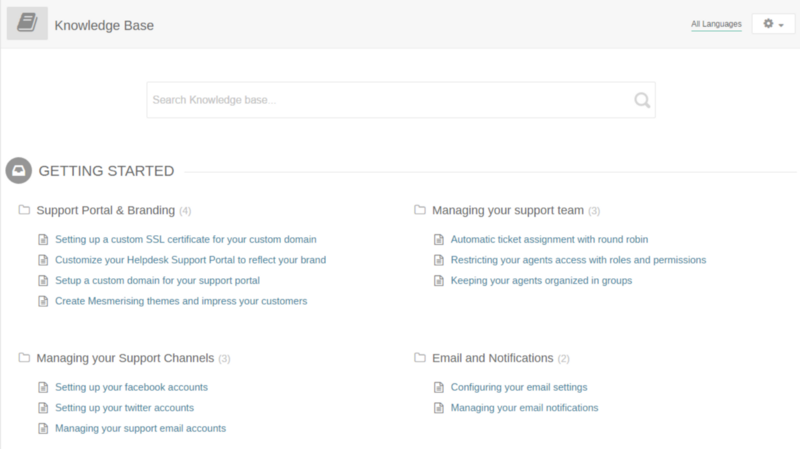 With Trakdesk, you can publish knowledge base articles of solutions to problems which your customers can access at anytime from anywhere via your customer support portal once they have an internet connection. 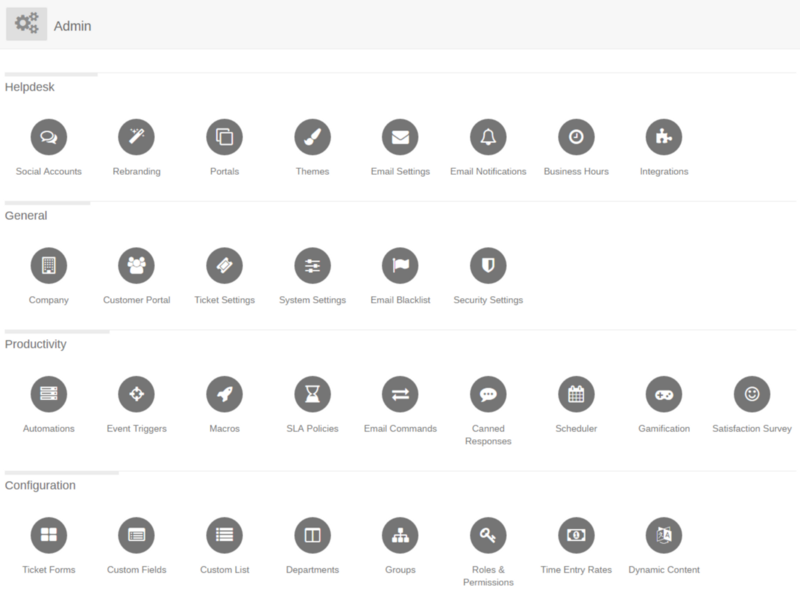 With this feature, you can create customizable themes that allow you to setup multiple themes for different events or seasons of the year. Not only this, you can also create a lot of custom pages and upload an unlimited number of assets for each of your themes. This is one of the most important features of Trakdesk. Not only does it add credibility to your business, it also adds value to your customers because it facilitates self-service. Several studies show that customers always try to solve technical problems on their own before contacting customer support agents. The advantage of a knowledge base system is that it eliminates duplication of effort because you won’t need to answer the same questions every time. One important feature and strong point of Trakdesk is that it makes provision for a custom domain. Custom domain allows you to incorporate your company name in the domain without any extension. Using a custom domain for your helpdesk portal is a powerful way of branding your company because it shows you’re using a premium product. Life as a helpdesk support agent isn’t easy, and you should not be expected to be sitting in your cubicle all day eyeballing your computer screen waiting for notifications to come in so you can act on them. This is absolutely not being productive and not forgetting, extremely boring. Trakdesk has made it extremely easy for you to manage your email notifications. You can easily enable / disable notifications, modify them with your own layout and designs and add placeholders for dynamic content. A good software must be able to address the needs of people around the world irrespective of the language they speak. Your ability to interact with customers in their native language through your software expands your customer base and ultimately increases your income. This is one of the most prominent features on Trakdesk that’s capable of giving you an edge over your competitors. It contains many languages, and this increases its accessibility to many people. Other important features of Trakdesk include reporting and analytics, security, and scalability. All of these features provide convenience in handling customer issues and bring about customer satisfaction and loyalty. Signup for your free 30 days trial at https://trakdesk.com and see what it can do for you.